Want to Know about the Latest Free Events and Attractions First? Looking for free and low-cost things to do in Portsmouth? Here’s our selection of some of the best from around the city. I have three children, so as you can imagine days out can get pretty expensive. Listed below are some cost effective and free days out ideas for you and your family to do in and around Portsmouth and Southsea. If you haven’t been before, Portsmouth Museum have beautiful grounds. During the summer months the museum team put on free childrens activities with various themes — something for everyone! The Museum itself is a city treasure and well worth a wonder. The museum holds the largest collection of Sir Arthur Conan Doyle including some unseen Sherlock Holmes related gems. For 2014 marking the 70th anniversary of the D-Day landings and 100 years since the great war, the museum has introduced the ‘Lest We Forget’ First World War exhibition featuring collections relating to some 200 individuals connected to the city. The collection includes photographs, documents, medals, memorials, and certificates of thanks. Portsmouth Library card members can enjoy loads of special offers and money-off deals around the city. You can use your library card straight away in all Portsmouth City Council’s nine libraries. If you borrow items from one branch, you can return them to any Portsmouth library. 20% off all-attraction tickets to Portsmouth Historic Dockyard, 20% discount with Hovertravel, £2 off standard admission to the Blue Reef Aquarium, 20% discount at Mozzarella Joes, and 10% discount at Blossoms of Portsmouth florist. Children under 16 and adults over 60 swim for free at Portsmouth swimming pools including The Mountbatten Centre, Eastney Swimming Pool and Charter Community Sports Centre. We have our very own historic castle in Southsea, with spooky tunnels and huge ramparts giving you the best panoramic views out to the Solent. 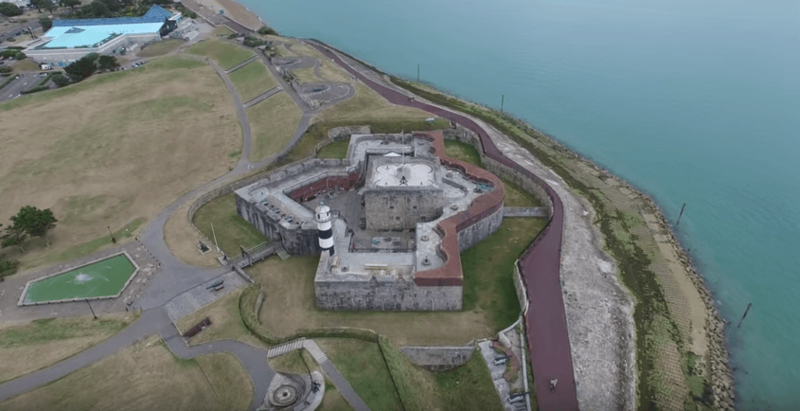 Admission to Southsea Castle is free for all visitors! The Castle also has its own café — a great place to recharge after letting the kids explore the historic ramparts of Castle Field. Built in 1544, the Castle was part of a series of fortifications constructed by Henry VIII around England’s coasts to protect the country from invaders. Barely was the work completed when Henry VIII’s flagship, the Mary Rose, tragically sank in front of the Castle. During the English Civil War, nearly a century later, the Castle was captured for the only time in its history by Parliamentarian forces. Over the centuries, Southsea Castle’s defences were strengthened so that it could continue to protect Portsmouth. In the 19th Century a tunnel was built to defend the Castle moat. Visitors can still enter the tunnel and see how the Castle would have been defended against invaders. Many an hour has been spent at Canoe Lake, famous for its swans, crabbing, paddling and now swan boat rides. The Lake and surrounding greens are great for relaxing, enjoying a family picnic in the park, and for the kids to blowoff some steam in the play parks — complete with aerial rope slide. In warmer weather, don’t forget to pack your swimsuit as the surrounding park has a huge free water play area. The café at the lake is a favourite for kids. You can buy a cooked lunch, snacks, ice-creams and all the equipment you need for crabbing in Canoe Lake. 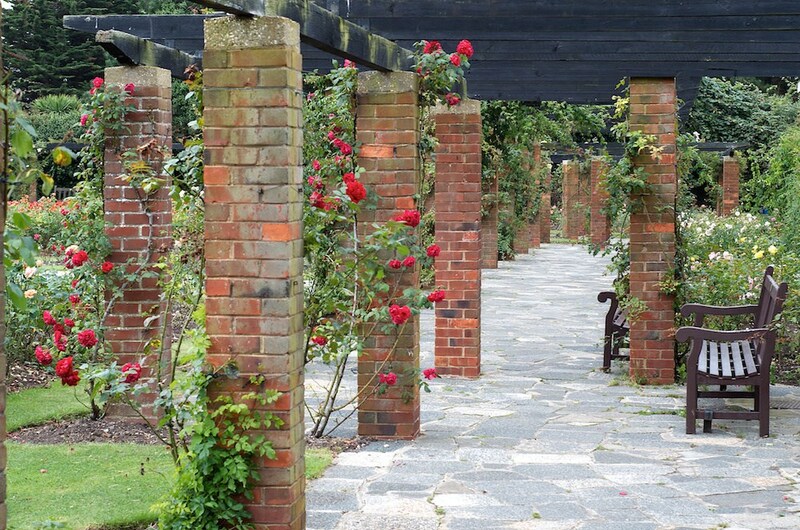 Tucked away, just past Canoe Lake, you can find the historic Southsea Rose Gardens. This hidden gem of Southsea is a beautiful place to sit peacefully and relax, have a picnic, or delve into a good book. Formally the site of Lumps Fort, the fortified walls remain but have been transformed to create a stunning sanctuary by the sea. Lumps Fort dates back to the 18th century. Did you know Southsea has a model village? The kids will love exploring the numerous minatures around the site, and will be wowed by the hidden lego model collection inside one of the the many nooks of the Village. At only £3 for Adults and £2 for children it certainly won’t break the bank. My lordly this is very high! You can find this intricate set of ropes and wooden bridges hovering over the solent at the end of Clarence Pier in Southsea. My kids loved it! Me (being a big chicken) stayed below and took pictures. Anyone from 5 years and up can have a go. It’s a brilliant workout for children and great to improve their motor skills and balance. The staff at ‘Pier Pressure’ told me that they felt a great achievement in helping scared climbers overcome their fear of heights. Portsmouth is a very special place for wildlife in Britain. It has many different habitats in a very small area, and at Portsmouth Natural History Museum you can explore them all. The museum tells the story of the wild things of the riverbank, marshes, woods and urban areas of Portsmouth. Have a look for the heron stalking its prey and the Brent geese coming into land after their 3000 km flight from the arctic. You can also learn about Portsmouth’s geology and take a look at some specimens from ancient times. The displays are designed to allow visitors a view of the natural world as they could never see it in real life – up close and in depth. Portsmouth Natural History Museum also houses an aquarium and butterfly house. The butterflies fly from May to September, and fish swim all year round. Also look out for the axolotls, Ebony and Ivory, and the other live insects on display. This enclosed area alongside Southsea Common incorporates two paddling pools and lots of play equipment including a mini trampoline, see-saw and plenty of grass to sit on. The pool is chlorinated and tested to ensure its cleanliness three times a day. Nearby in the tennis pavilion is a sports café with good quality drinks and food. There’s also a second childrens splash pool located in the north of Portsmouth next to Hilsea Lido. Southsea has some of the best traders and markets on the south coast. Palmerston Road is home to the Love Southsea market, Hampshire Farmers Market and an Art & Collectables Market. There’s always a great deal to see, eat, and it’s a fantastic place to just enjoy the great outdoors!